This second addition in the Avalon series is a welcome addition to this game scene. play online slots today! Eyecon first started in 1997 as a computer games company and two years later they build their first online casino system. Since 2003, Eyecon makes a name for themselves with their high quality online slot games. Filled with creativity and innovative ideas, their developer team always comes up with new themes to enhance their long list of launched games. 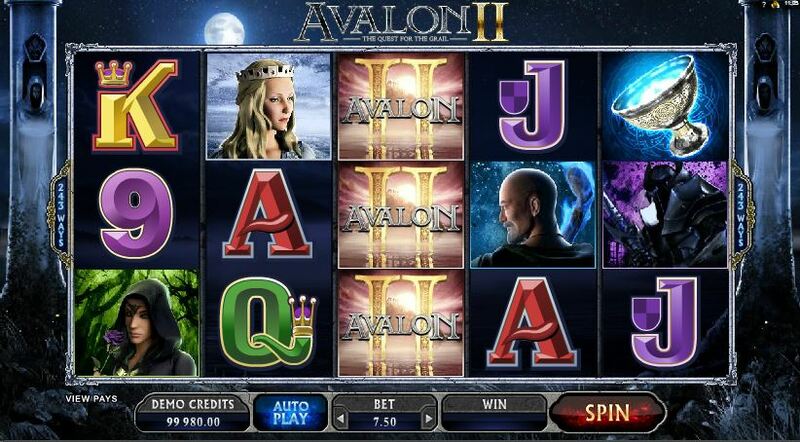 casino slots games has all of Eyecon's best games. Eyecon has a big passion for game development and you will be able to feel this in their games, which is one of the reasons why they have become very popular amongst their players. To learn more about the uk slots promotions we have on offer click here. 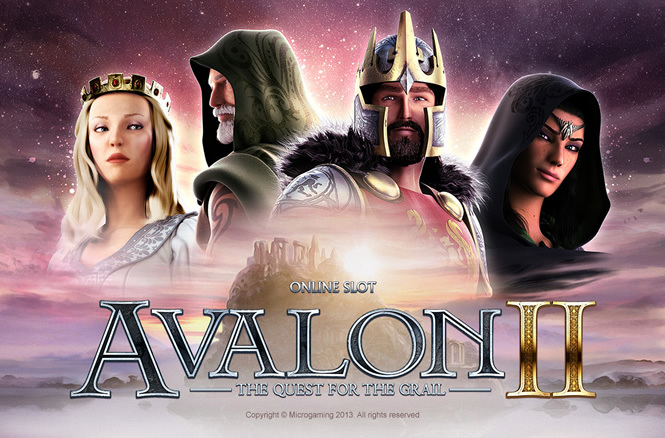 Quest for the grail is set in a medieval time and is inspired by the story of avalon. The background is rather foggy but you can see the castle at the top of the hill and stonehenge on the right hand side of the screen. The entire game has a very beige/brownish and purple color scheme. The background of the reels is a purple gradient and the reels themselves are bordered by glowing pillars. On the five reels and three rows are presented brave knights, wise wizards, beautiful princesses, big shields, yellow flags and a whole host of medieval themed icons. Everything is theme related and will emerge you into the medieval setting very easily. The sword Excalibur is the wild of the game and will substitute for any other symbol, except for the scatter, to help form winning combinations. If a winning combinations includes a wild symbol the payout will be doubled. You should also look out for the scatter symbol as if you land three or more of it you can either be awarded with 25 free spins or great multiplier prizes. During the free spins all excalibur symbols are replaced by 5 different grails which will work as wild symbols. When they help forming a winning combination they will also apply the multiplier value displayed on the grail symbol itself. These multipliers can be anything between 1 and 5. This is a great chance to turn your spin very profitable for you. There are 25 paylines in this adventurous game and to try a spin yourself you have to place a minimum bet of 30p or up to 7.50 pounds. Quest for the grail represents the medieval theme very well with nice detailed symbols on the reels. The pillars look also very nice and luxurious and the wild is a good way of increasing a win. The scatter could award you with a nice big multiplier or the chance to turn your single spin into another 25 free ones. The grails during the free spins feature are a great opportunity to turn the spin very lucrative. Quest for the grail will provide you an excellent gameplay experience and is especially interesting if you are already a fan of the theme. See more games in easy slots.